It is the second part of the series. The idea of this exercise was to make students practice the prepositions of all categories in an interesting way. Thus a story was created around the photo chosen. The KEYS are attached, your comments are welcome as well feel free to comment if you see any misprints or mistakes. The present downloadable worksheet is meant for high school students and adults at Intermediate (B1), Upper-intermediate (B2) and Advanced (C1) level. 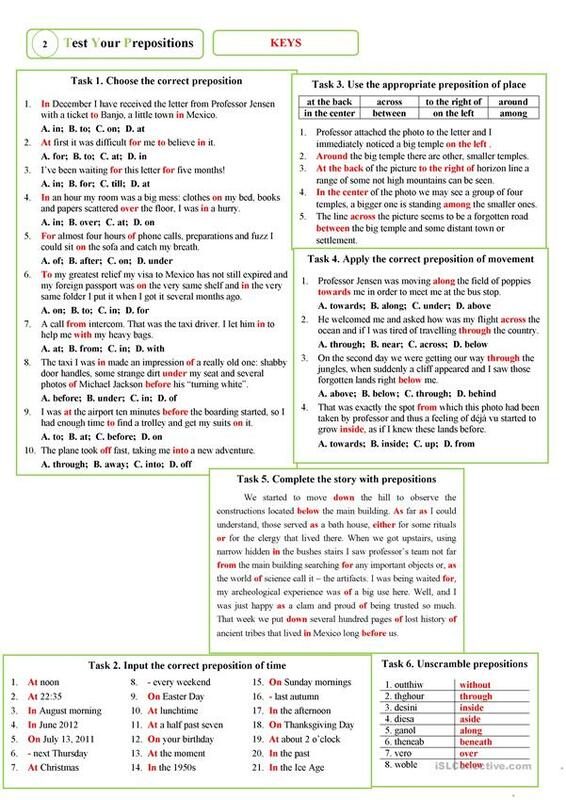 It is great for revising Prepositions in English, and is excellent for honing your learners' Speaking, Reading and Writing skills.